Most of us on the parikrama are from the West and accustomed to different comforts. Whilst Vrindavan offers its inconveniences, we must remember that Vrindavan is home and that home is nowhere else. 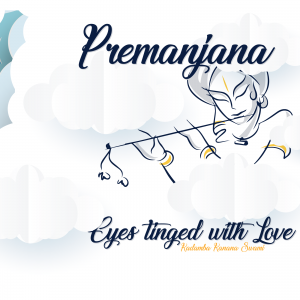 We carry this important meditation by Kadamba Kanana Swami from Day 7 into Day 8. We begin Day 8 with an hour-long drive from bustling Vrindavan to the clear sky-ed Brahmanda ghat. Being more rural, Brahmanda ghat is serene, peaceful and calming to the soul. We sit beside the auspicious ghat shaded by a large kadamba tree eagerly awaiting Kadamba Kanana Swami’s nectarian meditations. The parikrama thus far has been filled with special meditations. 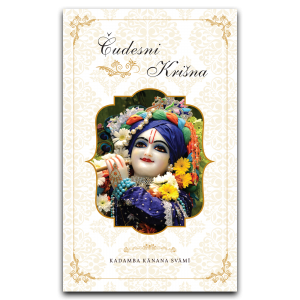 Following in the footsteps of Lord Caitanya and Lord Nityandanda, we will distribute these precious meditations to the different corners of the earth when we leave sacred Vrindavan. 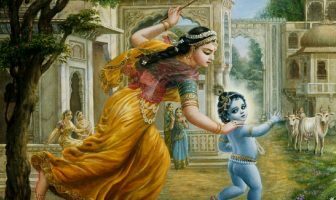 Brahmanda ghat is celebrated as the place where baby Krsna ate clay and displayed all the universes in his mouth when the concerned Mother Yasoda looked inside. Isn’t Krsna bewildering? As followers of Srila Prabhupada, Brahmanda ghat is also significant as the place where Srila Prabhupada’s dear disciples gave him an abhishek in 1972 when he bathed in the ghat. 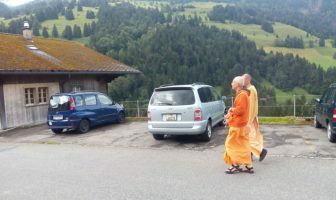 Kadamba Kanana Swami made the important point that although the holy dham is filled with mercy, even more mercy is attracted to places where great vaisnavas have been, therefore making Brahmanda ghat especially potent. Our second stop for the day was the River Yamuna, a few hundred metres from Brahmanda ghat. In that area, the famous Damodara lila took place. HH Bhakti Ashraya Vaisnava Swami captivated the minds of everyone as he sweetly described Krsna’s humorous butter-stealing pastimes. Our final stop for the day was Raval – the birthplace of Srimati Radharani. Due to its sanctity, Kadamba Kanana Swami decided that we spend a larger portion of our day at Raval. 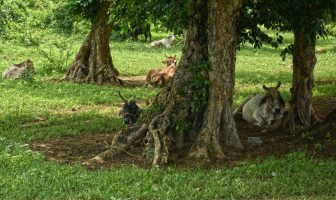 We sat under a mysterious tree formation which were actually two trees (one blackish and one white) that have intimately intertwined into one tree known as the Radha-Krsna tree. This is just one of many such trees in Vrindavan. Kadamba Kanana Swami, Ramanaji and Gour Krsna each led ecstatic kirtans that had us all screaming Krsna’s holy names in surcharged Raval. How nice it is to scream out Krsna’s names in all corners of Vrindavan! Although Krsna can be accessed wherever we reside in the world, he is especially accessible in holy Vrindavan. 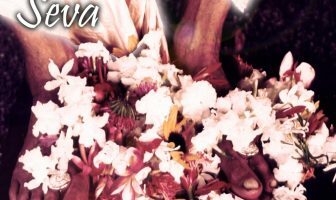 Kadamba Kanana Swami concluded the day by reminding us that it is only due to Lord Caitanya’s special mercy that we have all come to Vrindavan. By Lord Caitanya’s mercy, difficult things become easy to achieve and without his mercy, easy things become extremely difficult to achieve. We carry this meditation into the night as we excitedly await Day 9 of our exhilarating parikrama.